There is a lack of research and practice focused on how to foster higher-order processing, such as creative performance, within higher education settings. To address this gap in research, we chose to study pedagogical practices in schools of art and design, where one of the intended learning outcomes is creativity. 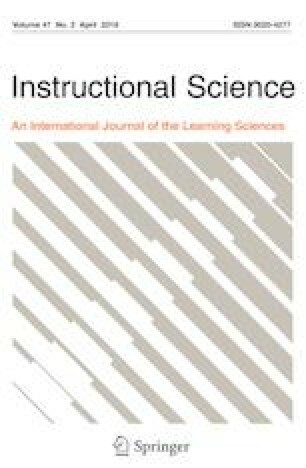 Based upon data gathered as part of a larger study (Sawyer in Thinking Skills and Creativity, http://doi.org/10.1016/J.TSC.2018.08.002, 2018), we found that among a large number of creative performance pedagogical practices we identified, a subset seemed to foster self-regulated learning (SRL). Therefore, the goal of our study was to identify the ways art and design professors enacted practices that foster their students’ self-regulation during learning and performance. We found these professors utilized a number of direct and indirect methods of fostering their students’ SRL, all intended to enhance students’ ability to enact creative performance. In addition to revealing interesting comparisons between SRL in art and design and other more commonly studied contexts such as science or history, our findings suggested numerous directions for expanding SRL models, including a greater focus on process as the outcome of SRL, a need to continue research into SRL during higher-order processing, and gaps regarding the development of SRL. Winne, P. H. (2017). Theorizing and researching levels of processing in self-regulated learning. British Journal of Educational Psychology. https://doi.org/10.1111/bjep.